USA TODAY Spotlights the SUMMER OF VALIANT! Quantum and Woody! The Road to UNITY in X-O Manowar! Bloodshot and H.A.R.D. Corps! Eternal Warrior! And much more! The Summer of Valiant is back yet again and USA Today has all the details – direct from Valiant creators James Asmus, Robert Venditti, Matt Kindt, Christos Gage, Joshua Dysart, and Greg Pak. Plus an exclusive look inside Quantum and Woody #1! Catch up with everything you need to know about Valiant’s second colossal year right here! 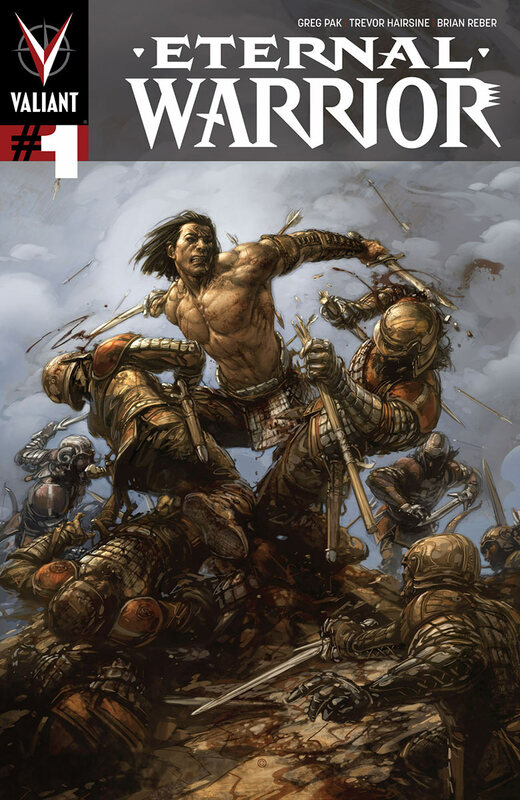 This September, superstar creators Greg Pak (Planet Hulk, Batman/Superman) and Trevor Hairsine (X-Men: Deadly Genesis, Ultimate Nightmare) are coming together for Eternal Warrior #1 – the FIRST ISSUE of an all-new monthly series for Valiant’s undying immortal champion. Get ready for an epoch-spanning adventure pitting Gilad Anni-Padda against his own deadly legacy in the Valiant Universe…and find out more in Comic Book Resources’ exclusive interview with Greg Pak! Beginning this September, the most dangerous man in the Valiant Universe has a new team calling the shots – co-writers Christos Gage (Avengers Academy) and Joshua Dysart (Harbinger Wars) and acclaimed artist Emanuela Lupacchino (Archer & Armstrong)! Enter Bloodshot and H.A.R.D. Corps #14 – the FIRST ISSUE of all-new mission putting Bloodshot into combat alongside he weaponized men and women of H.A.R.D. Corps. Catch up with Gage and Dysart after the jump for a look inside this deadly new direction for Bloodshot! You are receiving this message because you opted in at valiantuniverse.com. If you have received this message in error, please safely unsubscribe or update your profile.